This dish is inspired by the traditional (and - alas! 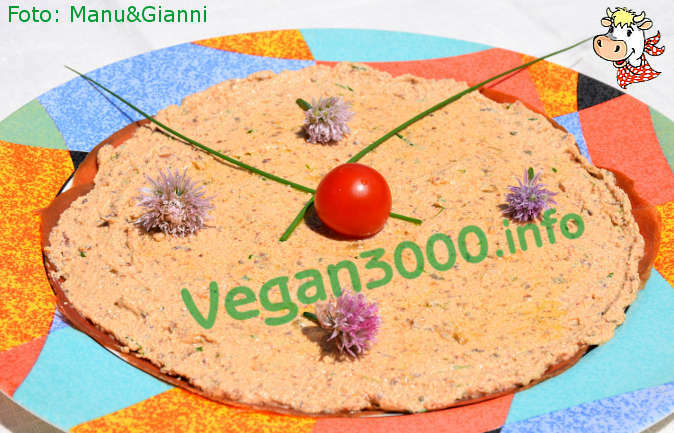 - bloody) calf tonné (Italian "vitel tonné") that we Vegan3000 wanted to prepare in a 100% cruelty free way! This is a tasty and light dish, ideal for special occasions and that will please everyone, since so far the many people who have tasted it have always enjoyed the combinations of flavors and in less time than it takes to say is all gone ... at the speed of light! 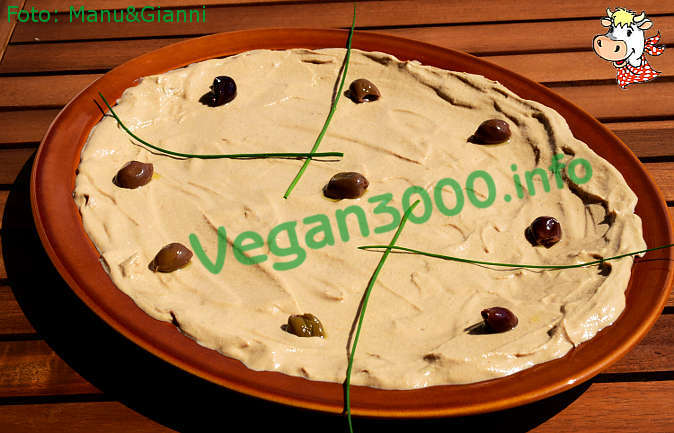 Blend tofu with capers, olives, tomato sauce, milk and soy sauce, lemon juice, vinegar, garlic, parsley and chives. When everything is well mixed, add the oil a little at a time until you have a thick cream and soft, which is spread on slices of seitan previously arranged on a large serving platter. Refrigerate for a few hours and serve fresh, garnished with a few sprigs of parsley or a few strands of chives just before serving.